1. SEBI Constitutes Expert Committee To Frame Rules For Direct Listing Of Indian Firms Abroad. Market regulator, the Securities and Exchange Board of India (Sebi), has formed an expert panel to mull norms for direct listing of Indian companies overseas. At present, listing of equity share capital of companies incorporated in India is not permitted on foreign exchanges and vice versa. “Considering the evolution and internationalisation of the capital markets, it would be worthwhile to consider facilitating companies incorporated in India to directly list their equity share capital abroad and vice versa,” Sebi said in a release. 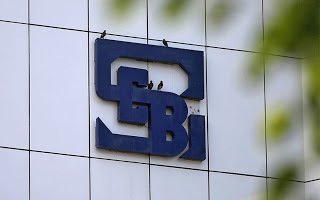 Sebi’s nine-member committee will comprise Ranu Vohra, Co-founder, MD & CEO, Avendus Capital; Cyril Shroff, Managing Partner, Cyril Amarchand Mangaldas; Kamal Yadav, Managing Director, Morgan Stanley; S Ramesh, Managing Director & CEO, Kotak Investment Banking; Neeraj Bhargava, Senior MD & CEO, Zodius Capital Advisors; Deep Kalra, Chairman & Group CEO, MakeMyTrip.com; Rajiv Gupta, Partner, Singapore, Latham & Watkings LLP and Jamil Khatri, KPMG and Sujit Prasad, Executive Director; Sebi (Convener). The regulator in a release also added that companies incorporated in India today can list their debt securities on international exchanges (masala bonds), but their equity share capital can be listed abroad only through the ADR/GDR route. Similarly, companies incorporated outside India can access the Indian capital markets only through the IDR route. Thus, presently, direct listing of equity share capital of companies incorporated in India is not permitted on foreign exchanges and vice versa. 2. RBI Releases Draft Guidelines To Modify Loan System For Large Borrowers. 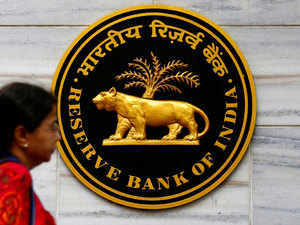 The Reserve Bank of India (RBI) on Monday came out with draft guidelines on loan system for delivery of bank credit to improve discipline among larger borrowers enjoying working capital facility from the banking system. The draft stipulates a minimum level of ‘loan component’ in fund based working capital finance and a mandatory Credit Conversion Factor (CCF) for the undrawn portion of cash credit/overdraft limits availed by large borrowers, it said. “In respect of borrowers having aggregate fund based working capital limit of Rs 150 crore and above from the banking system, a minimum level of ‘loan component’ of 40 per cent shall be effective from October 1, 2018,” said the draft guidelines as RBI proposes to modify the system for delivery of bank credit for large borrowers. Accordingly, for such borrowers, the outstanding ‘loan component’ must be equal to at least 40 per cent of the sanctioned fund based working capital limit, including ad hoc credit facilities, it said. “Hence, for such borrowers, drawings up to 40 per cent of the total fund based working capital limits shall only be allowed from the ‘loan component’. Drawings in excess of the minimum ‘loan component’ threshold may be allowed in the form of cash credit facility,” the RBI’s draft said. The 40 per cent loan component will be revised to 60 per cent, with effect from April 1, 2019, it added. 3. Mobile Banking Rank By SBI’s Annual Report: Paytm Tops By Volume And Axis Bank Tops By Value. At 17.2 per cent, Axis Bank commands the largest value share of mobile banking transactions but it’s Paytm that tops volumes with 22 per cent. However, Paytm’s value share is a meagre 0.25 per cent, according to State Bank of India’s (SBI) annual report for 2017-18 which has put out Reserve Bank of India’s data for January 2018. ICICI Bank has a 17.1 per cent share of transactions by value and 9.7 per cent by volume. SBI’s volume share has slipped by over 5 percentage points from nearly 25 per cent at the end of March 2017 to 19.5 per cent in January 2018. The lender has also lost value share from to 16.8 per cent from a high 44.4 per cent a year ago. Mobile-banking usage itself has seen a steep jump, with volumes soaring a steep 91 per cent to 1,871 million in FY18 from 977 million in FY17. Rajiv Anand, executive director and head of retail banking, Axis Bank, said while the digital payments market is changing, legacy banks continue to remain important players in the system. 4. HDFC Bank’s Proposal To Raise Additional Share Capital Approved. The Union Cabinet on Wednesday approved the proposal to grant HDFC Bank permission to raise additional capital of up to Rs 24,000 crore from foreign direct investment. “The Union Cabinet has approved the proposal for grant of permission to M/s. HDFC Bank Ltd. to raise additional share capital of up to a maximum of Rs 24,000 crore, including premium, over and above the previous approved limit of Rs 10,000 crore, such that the composite foreign shareholding in the bank shall not exceed 74% of the enhanced paid-up equity share capital of the bank,” the government said in a release. The government added that the proposed investment is expected to strengthen the capital adequacy ratio of the bank. In December, HDFC Bank’s board approved a capital raising plan of Rs 24,000 crore through a mix of instruments including preferential allotment to its parent HDFC. HDFC plans to infuse Rs 8,500 crore in HDFC Bank. 5. 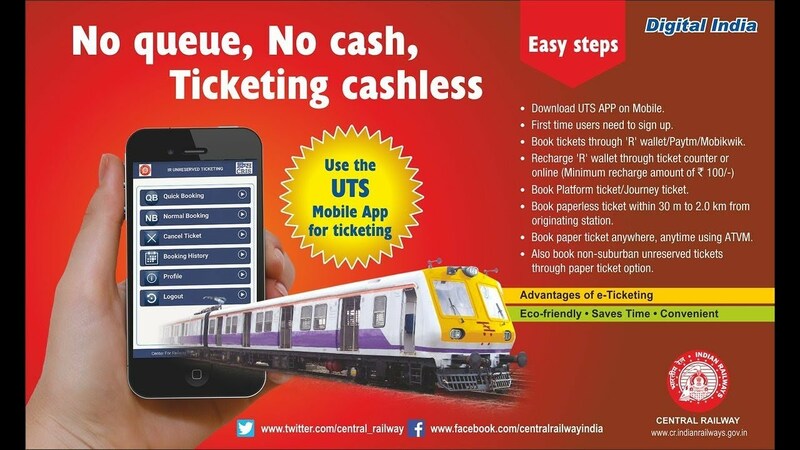 Cashless Ticketing Through `Utsonmobile` App Developed By CRIS. i. The ‘utsonmobile’ application enables booking and cancellation of unreserved tickets, issue and renewal of season and platform tickets, check and load R-wallet balance and helps maintain user profile management and booking history. ii. The ‘utsonmobile’ application is very handy, free and is available for both Android and Windows smart phone. Users can download this app from Google Play Store or Windows store free of cost. iii. First the passenger will get registered by providing his/her mobile number, name, city, default booking train type, class, ticket type, number of passenger and frequently travelling routes. iv. Upon successful registration, Railway Wallet (R-Wallet) will be created automatically with zero balance to the passenger. There will be no extra cost for creating R-Wallet. 6. Maharashtra Government, Quebec Province Sign Pact To Increase Economic Cooperation. The Maharashtra government and Canada`s Quebec province have signed a pact to increase the economic cooperation, specially in areas like information technology, biotechnology, artificial intelligence and welfare of the tribal community. Chief Minister Devendra Fadnavis, who is on a week-long tour to the US and Canada, signed a Memorandum of Understanding (MoU) to this effect with Quebec Premier Philippe Couillard on Wednesday. "We also discussed ways to increase our collaboration over knowledge-sharing on ports as Maharashtra has the strength of majority of youngest population," Fadnavis said in a statement.The chief minister also met Pierre Beaudoin, chairman of the Board Corporate office of Bombardier Inc, a multinational aerospace and transportation company and the world`s leading manufacturer of aircraft and trains in Quebec. Fadnavis said Bombardier Inc has assured support to the Maharashtra Metro and Monorail Transport Infrastructure, "that will change the shape and future of mobility." He also met Michael Sabia, the president and CEO of Caisse de dpt et placement du Qubec (CDPQ), an institutional fund manager which manages funds over 298 US billion dollars. It will help attract more Canadian pension funds investment in India, Fadnavis said. He said CDPQ has agreed to partner with some companies in India and also shown interest in working with retail partners.Fadnavis also highlighted the Maharashtra Samruddhi corridor, logistic parks and some other projects in the state as the "perfect options for investment." 7. PhonePe Partners With Ola. Flipkart-owned PhonePe said on Friday that it has partnered cab aggregator Ola that will allow riders to book rides using the former’s payment platform. “With this partnership, our users can enjoy the ease of using their preferred ride sharing app from within PhonePe while being assured of the reliability and integrity of their payments,” PhonePe co-founder and CTO Rahul Chari said. He added that PhonePe has also added ‘Auto-pay’ feature that allows users to make payments seamlessly. Chari added that users can switch off ‘Auto-pay’ instructions anytime they want. “This is part of our vision of being an open payments ecosystem, enabling businesses of all sizes to build and deploy apps on our platform with a unified login and payments experience for our users,” he said. This will enable businesses to reach out with their services to a highly relevant and rapidly growing base of over 100 million PhonePe users, he added. 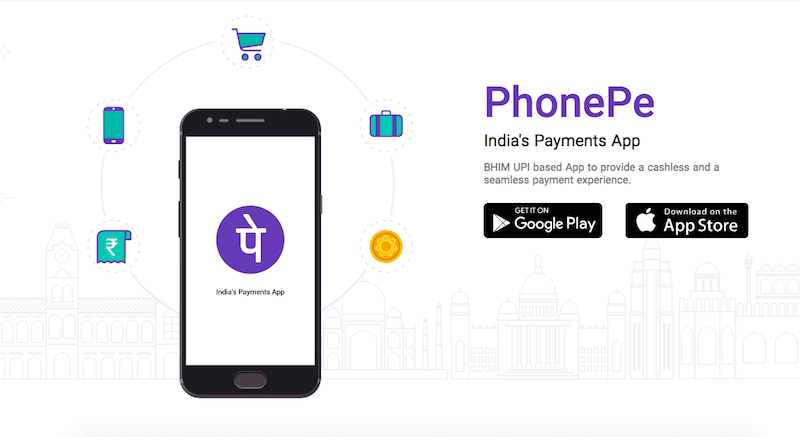 Going forward, PhonePe is rapidly adding partners in the travel, hospitality, ticketing and food segments to its micro-app platform, the official said. 8. MARG ERP Limited Partners With ICICI Bank. Marg ERP limited, a leading Inventory and Accounting software solution company has partnered with ICICI Bank, India`s largest private sector bank by consolidated assets, to offer an integrated payments platform to Micro, Small and Medium Enterprise (MSME) customers, using MARG`s accounting software. This integration aims to promote `Connected Banking` and enables ICICI Bank`s current account holders to securely connect their bank account with the MARG ERP software and undertake an array of digital transactions from within the ERP platform itself. It will enable businesses to initiate vendor & salary payments via RTGS, NEFT or IMPS directly from this platform, automate reconciliation of banking and accounting entries, apply for working capital loans as well as schedule future dated payments, thereby offering exemplary command over day-to-day financial transactions for businesses. 9. Fitch Ups India Growth Forecast To 7.4% For FY`19. New Delhi, June 13 (PTI) Fitch Ratings today raised India`s economic growth forecast to 7.4 per cent for 2018-19 but cited higher finance costs and rising oil prices as risks.It also said that the rupee has been among the worst performers vis-a-vis Asian currencies this year.The global credit rating agency had earlier estimated the GDP growth at 7.3 per cent for the current financial year. For 2019-20, it projected the growth at 7.5 per cent. Fitch forecast global oil price to remain around USD 70 per barrel in 2018, up from USD 54.9 a barrel last year. It said it expects oil price to cool to USD 65 a barrel next year. "We have revised up our forecast for 2018-19 growth to 7.4 per cent from 7.3 per cent in March. However, higher financing costs (stemming from monetary tightening and higher market premiums) and rising oil prices should limit the upside to growth," Fitch said in its Global Economic Outlook.The Indian economy grew at 6.7 per cent in 2017-18. In the fourth quarter (January-March) the GDP grew at 7.7 per cent. Mortgage lender HDFC Ltd is the only Indian company to be named among the top 10 consumer financial services companies in the world, with American Express claiming the first position. With profits of $1.6 billion and sales of $8.1 billion, HDFC has been ranked seventh on the Forbes Global List 2017 in the consumer financial services sector — same as last year. The company has been featured in the coveted list for the third consecutive year. American Express topped the list, followed by Capital One Financial and Visa in the second and third place, respectively. The other consumer finance services companies that made it into the list include Orix at the fourth place, Synchrony Financial (5th), Discover Financial Services (6th), Mastercard (8th), PayPal (9th) and CIT group (10th). 10. Fitch Lowers Axis Bank`s Outlook To Negative, Cuts ICICI Bank`s Support Ratings. Fitch Ratings on Friday revised the outlook on private sector Axis Bank to ‘negative’ from ‘stable’ and also downgraded ICICI Bank’s Support Rating, stating that both lenders “exhibit gaps in risk controls”. It has affirmed the Long-Term Issuer Default Ratings and Viability Ratings of ICICI Bank and Axis Bank at BBB- and ‘BBB-’, respectively. The agency has also downgraded ICICI Bank’s Support Rating to 3, from 2, and revised its Support Rating Floor to ‘BB+’, from ‘BBB-’ while maintaining the outlook as stable. Fitch, however, noted that the ongoing investigation at ICICI Bank on allegations of extending a loan with a potential conflict of interest, has brought the attention of the authorities on the lender’s governance practices. “Adverse findings could create reputational risk, particularly if they point at broader weaknesses in management,” it said, adding that at present it expects the lender’s financial profile to hold up in the near to medium term . The capital buffers at ICICI Bank are stable despite financial deterioration in previous years, it noted. But, in the case of Axis Bank, which registered a 78.6 per cent fall in its net profit to a net loss of ?2,188.74 crore in the fourth quarter of 2017-18, Fitch highlighted the rising pressure on its standalone profile due to the heightened asset-quality stress and weak earnings. “Its capital buffers are less comfortable for its current rating despite raising fresh capital,” it said.